Dr Hone can provide lingual braces .and is certified in providing Incognito lingual braces. 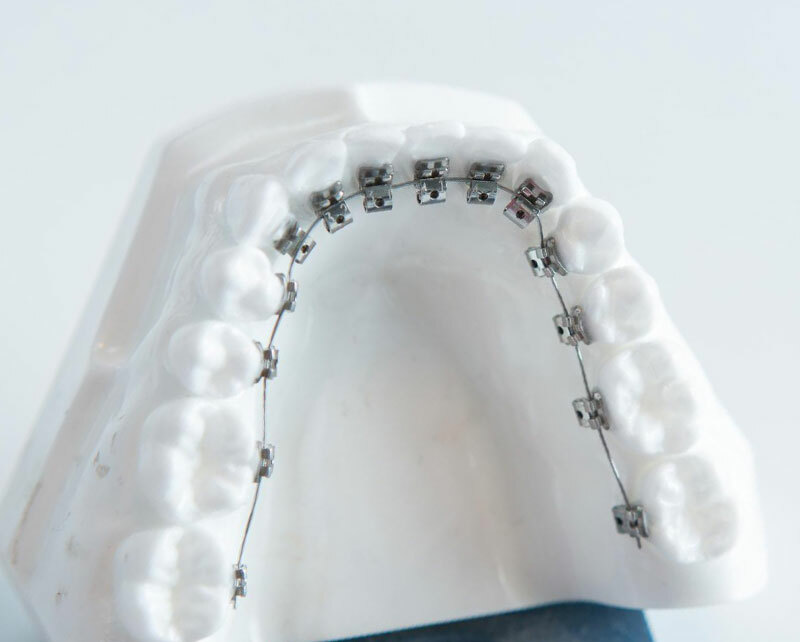 These are braces which are bonded onto the inside/ lingual surface of your teeth-out of view These braces are quite difference in that gold custom made brackets are applied to the teeth and in conjunction with wires the teeth are straightened. These braces are a good choice for the patient who does not want visible braces but is not suitable for Invisalign. The results are similar to the results achieved with fixed braces (train tracks). 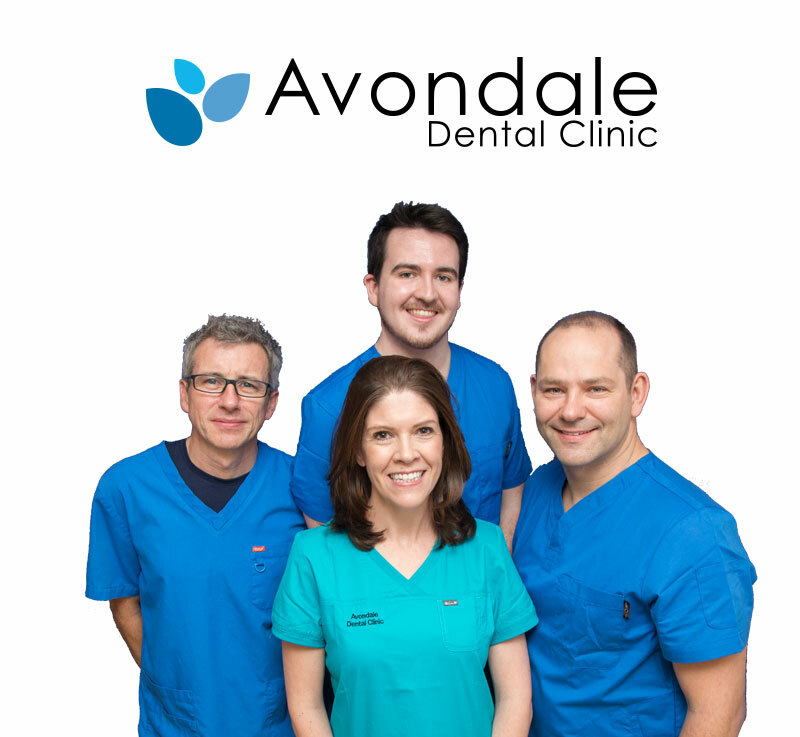 We have a wide range of orthodontic treatments to suit your needs. The degree of movement required dictates the treatment time. Generally the treatment time could be anything from 6 months up to two years. The patient generally needs to attend Dr Hone every 4-6 weeks to have the braces reviewed brackets / wires replaced or tightened. Initially there is a period required to get used to the braces. Occasionally your lips may feel a little irritated but once accustomed to the braces patients hardly know they are there. 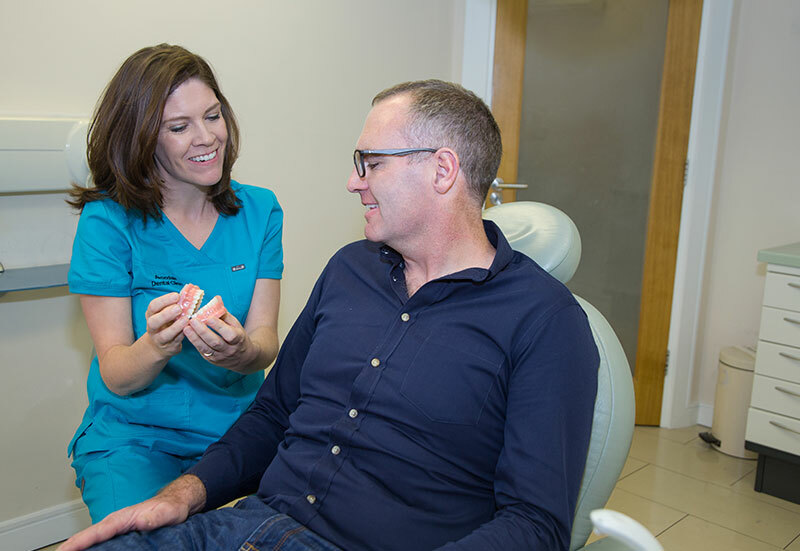 We would recommend seeing our hygienist Ms Deirdre Maher regularly while you are in your fixed braces as it can require a little more effort to keep your teeth and gingival tissues clean. 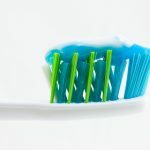 It is our practice to recommend mouth washes such as Fluoride mouthwashes in order to prevent tooth decay underneath the braces. 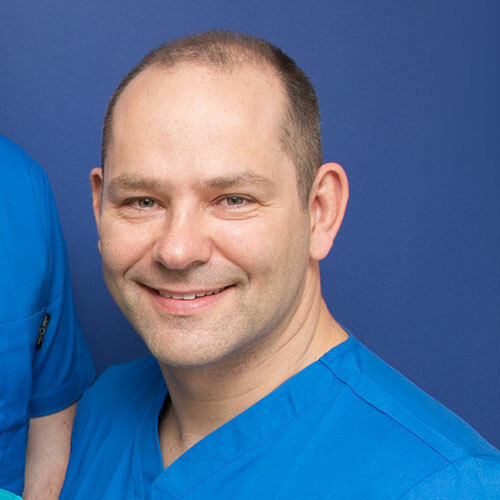 Throughout the period when you are in your braces it is advised to attend your general dentist for routine check-ups as the orthodontist concerns himself with the position of the teeth, but it is your general dentist who continues to ensure there is no tooth decay or gum disease. Since Lingual Braces are fixed behind your teeth, they are more complicated to fit than traditional fixed braces. The following four steps describe the application of Orthodontic lingual braces and will be relevant to every patient. we will take impressions of your teeth using a plastic mould. on the second visit, the brackets are cemented to the back of the teeth. The arch cable is also fitted, which provides the tension to move the teeth into the desired position. a retaining brace is usually required to ensure that moved teeth do not relapse. Depending on the complexity of the individuals case, patients may require additional stages in their treatment. For example, some patients require teeth extractions to facilitate movement and allow the rest of the teeth to grow more naturally. During the initial consultation, the dentist should inform each patient fully of what their treatment will entail. Braces are devices used in orthodontics that align and straighten teeth and help position them with regard to a person’s bite, while also aiming to improve dental health. Through orthodontic treatment, problems like crooked or crowded teeth, overbites or underbites, incorrect jaw position and disorders of the jaw joints are corrected, which if left untreated, can result in tooth decay, gum disease, headaches and earaches, as well as speaking, biting or chewing problems. 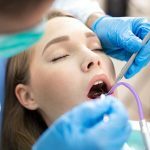 Percent of patients who undergo braces treatment have to undergo repeat treatment because they fail to wear a retainer for the time recommended by their orthodontist.